Make your upcoming wedding celebration, corporate, or social event spectacular with Marquee Event Rentals Austin. Whether it’s beautiful and intimate, fun and casual, or elegant and formal, our design team will work with you to make every detail perfect. 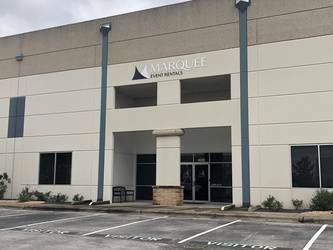 From tents, lines, china, glassware, tables, chairs, staging, dance floors, decor items, & much more – all of your special event rental needs can be found at Marquee Event Rentals Austin. With over 30 years serving the Austin metro area and the Texas Hill Country, we will work with you to make your event stress free and one you will never forget. Visit our local 3000 square feet Showroom & Design Center to start planning today! Contact one of our Event Specialists at (512) 491-7368 for more details! Marquee Event Rentals Austin provides custom, trend-setting wedding and event rentals and tents. With over 30 years of experience, we challenge you to rethink rentals. We offer event necessities alongside custom décor pieces, many of which are made to suit your special occasion. Include specialty linens, lounge furniture and décor to your next rental order to transform your event.